The Armagh Regional Education Committee at a meeting on 6th September 1927 considered plans submitted by Mr. St. J Phillips Architect for the erection of a new school in Armagh city. The building was to cover an area of 22,000 square feet with accommodation for 680 pupils. It was to have 14 classrooms, and 3 special rooms (Handicrafts, Domestic Science and Art), together with an Assembly Hall and cloakrooms. The estimated cost of erection was £23,000. The new Public Elementary School was to replace a number of smaller (National) schools under church management in the city : The Mall Boys and Girls, Abbey Street, College Street, Gosford Place and the various churches in transferring their schools would have their rights preserved in the appointment of representatives to the Management Committee. A site was acquired from the Observatory Board after the government introduced a Bill to Parliament to make the purchase possible as under an enactment made in the time of George III the Board was not permitted to dispose of land, which they held in trust under that Act for the purposes of an Observatory. 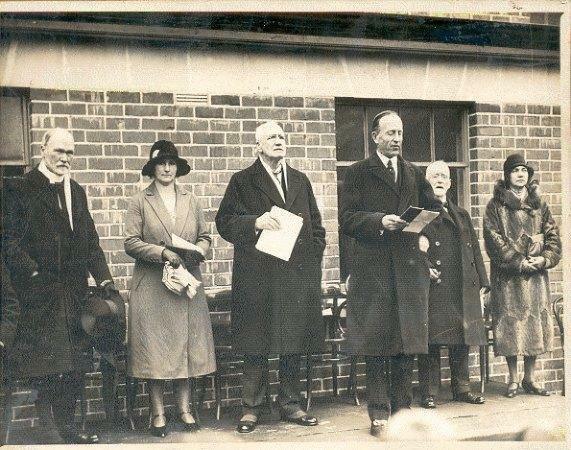 The site was purchased for £1,000, the school built and in operation by August 1930 and was given the name Armstrong after the Chairman of the Regional Education Committee, Senator HB Armstrong. The official opening took place on 24th February 1931 and was performed by the Marquis of Londonderry. There are photographs in the school of this event. During the academic year 2005 – 2006 The Armstrong celebrated its 75th anniversary. A range of special events were organised throughout the year. This began with ‘The 75th Anniversary Christmas Production ‘It’s A Party’. This was performed by Key Stage One and televised by UTV live! It was aired during the week leading up to Christmas! Everyone enjoyed the filming and getting to see behind the scenes of a television production. On 31st March 2006 a special 75th Anniversary Open Day was held in school. Past pupils of the school were treated to a special performance by present pupils that included, singing, traditional dancing and poetry to name but a few. Mr Bob Stinson a former pupil of the school on the day that it opened joined the youngest pupil in the school, Emma Armstrong, to cut an anniversary cake. Pupil guides treated past pupils to a tour of the school and the anniversary museum that had been set up. The day finished with a buffet lunch, which enabled all those attending to reminisce and in some cases renew old friendships. 350+ former pupils attended. Every pupil attending the Armstrong in 2006 was presented with a 75th Anniversary Pen. This included a range of items from both current and former pupils.